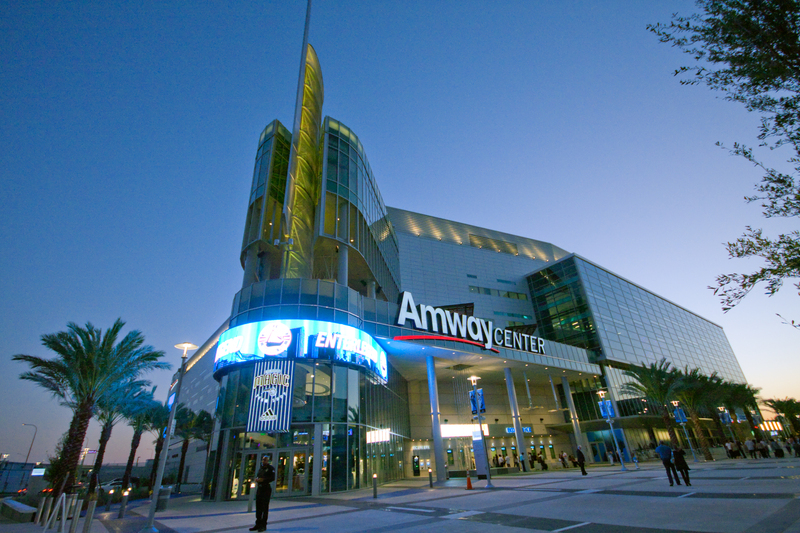 The Amway Center is a multipurpose arena situated in the heart of downtown Orlando, Florida. The arena is home to two professional Orlando city-based sports team: the NBA’s Orlando Magic and the ECHL’s Orlando Solar Bears. Some of its most notable events were the 2012 NBA All-Star Game, the 2015 ECHL All-Star Game, and ArenaBowl XXVI. The arena also hosts other sports events, concerts, and conventions. Some of Amway Center’s famous events are Cirque Du Soleil Crystal, Shakira, Monster Jam, Sam Smith and Disney on Ice.